Cuts Steel Without Heat, Burrs Or Coolant! Optional blades cut Stainless Steel, Aluminum & Wood. 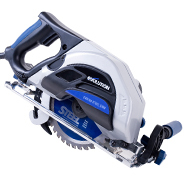 The STEELSAW230 is robust and highly durable, typically a Steel blade will cut up to 262ft of 1/2" Steel plate, before a replacement is required! 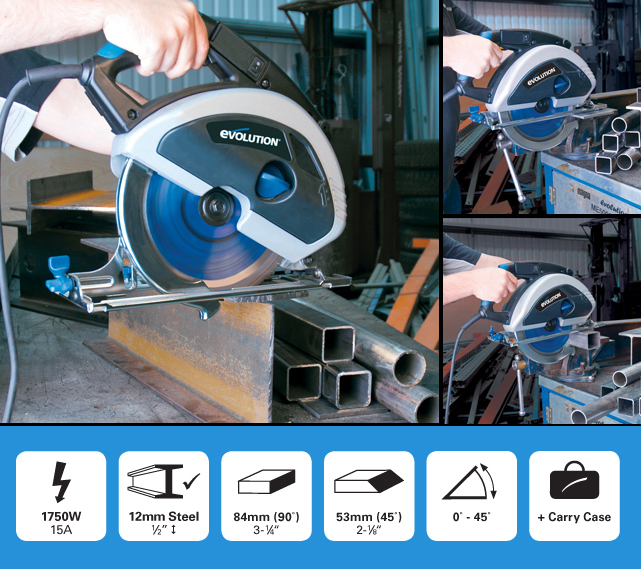 * Ideal for cutting Steel plate, box section, steel pipe, scaffolding, cladding and roofing. 0 - 45° bevel tilt enhances the versatility of the saw. Other features include a safety switch with overload protection and an auto-debris collection system, which collects chippings automatically. Heavy-duty and extremely portable. Features an easily adjustable depth of cut, plus a laser guide to aid accurate cutting. Cut Steel, Stainless Steel, Aluminum and Wood with the optional blades available! 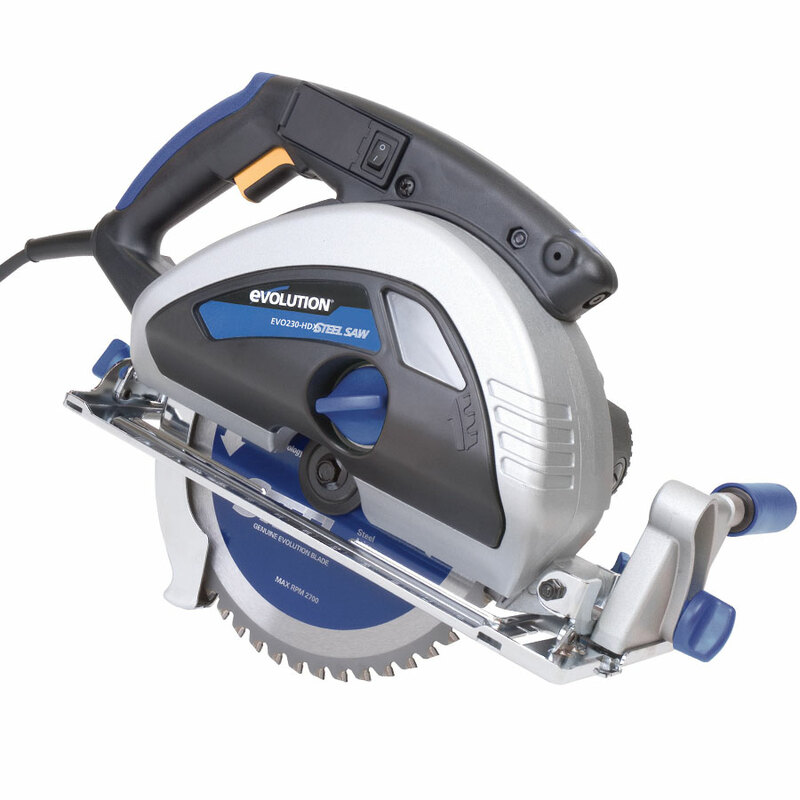 The combination of an Evolution Steel Saw and Steel Cutting blade, is the ultimate in Steel cutting technology. Add to this the comprehensive specialist blade range and the variety of applications you can cut becomes incredibly vast.